ArtWorks!, an art program for students in grades K through 8, provides children an opportunity to explore the world of art through hands-on experiences with a variety of visual media, the history of art, and the viewing of art works. The spring ArtWorks! session will run for five consecutive weeks with classes held on Friday afternoonsfrom February 8-March 8, 3:30-5:00 in Lord Hall on the University of Maine campus. The fifth week will be the Children’s exhibition held on March 8th. Parents or guardians are responsible for their children’s transportation to and from the program. Classes will begin promptly at 3:30 and conclude at 5:00 sharp. For safety, students will not be allowed to leave the classroom until the pre-designated adult has come to the room to pick him or her up. Class sections are organized by age and/or grade level, and spaces are very limited. Acceptance into the program will be on a first-come-first-serve basis. A list of alternates will be kept in case of vacancies. A $25 course feewill be charged for the spring session to cover the costs of materials used during the classes. The course fee must be paid on or before the first day of classes. Checks should be made out to the University of Maine. A limited number of scholarships are available. ♥All ArtWorks! classes are taught by Art Education undergraduate students, under the close supervision of Dr. Constant Albertson. ArtWorks! is a lab school designed to provide future art teachers the opportunity to develop the skills necessary for success in their future classrooms.To facilitate this, we ask parents and Ed. Techs to stay outside the classroom during the ArtWorks!Sessions. As this will be one of the students’ first formal teaching experience it is important that it be as realistic as possible. Your cooperation is appreciated. ♥ Art classes will take place on the second and third floors of Lord Hall. There is an elevator to all floors and the bathrooms are accessible. Art Education students will contact you prior to the first class to give you your child(ren)’s room number(s). If your child has particular learning needs or allergies, it is the parent/guardian’s responsibility to contact Dr. Albertson directly prior to the first class, and inform the art education student who calls you. FOR MORE INFORMATION, contact Dr. Constant Albertson at 581-3251 or the Dept. of Art, Lord Hall, at 581-3245 or by e-mail: constant@maine.edu. Please make checks out to University of Maine. Send applications to University of Maine, Dept. of Art, Lord Hall, Orono, ME. 04469-5743. Attention: ArtWorks! 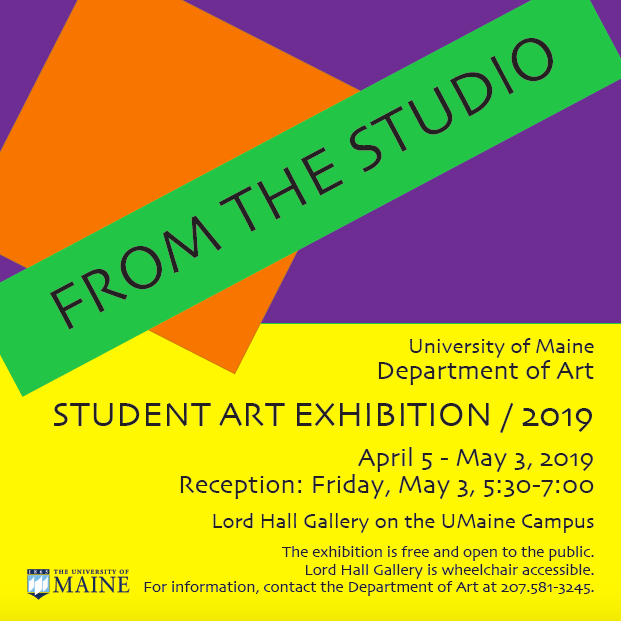 Orono, Maine — The University of Maine Department of Art is accepting applications for the after-school ArtWorks! Program. As it has for more than 30 years, UMaine’s Art Education Program will offer the program for students in grades K-8. ArtWorks! 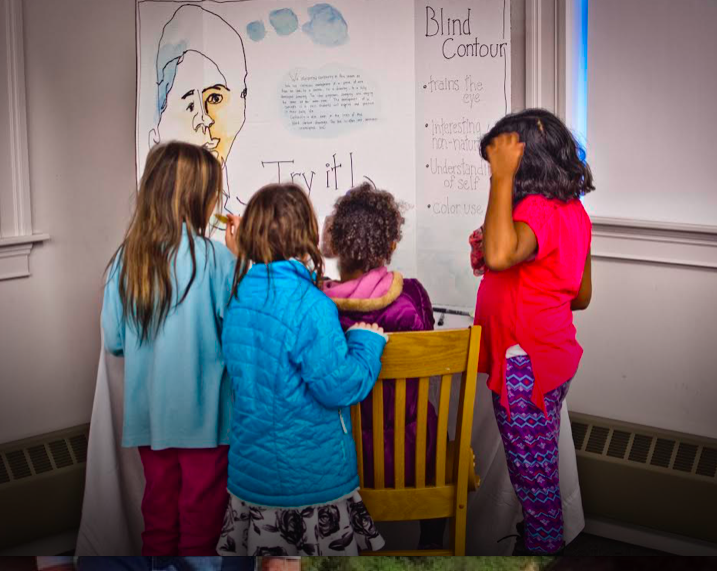 provides children an opportunity to explore the world of art through hands-on experiences with a variety of visual media, the history of art, and the viewing of art works. The spring ArtWorks! session will run five consecutive weeks with classes held 3:30-5 p.m. Fridays in Lord Hall on the UMaine campus. Classes begin March 30 and continue through April 27. The classes are organized by grade level and are taught by art education majors, who are preparing to become art teachers. The program is supervised by Laurie E. Hicks, professor of art. Participants will have the opportunity to work with diverse media as they explore the ways in which experiences with art help encourage creative expression, manipulative skills as well as ways of seeing and understanding the visual world. A $25.00 fee covers the cost of materials. The program is offered on a first come, first serve basis. Applications are available through the Department of Art and are due no later than March 2. 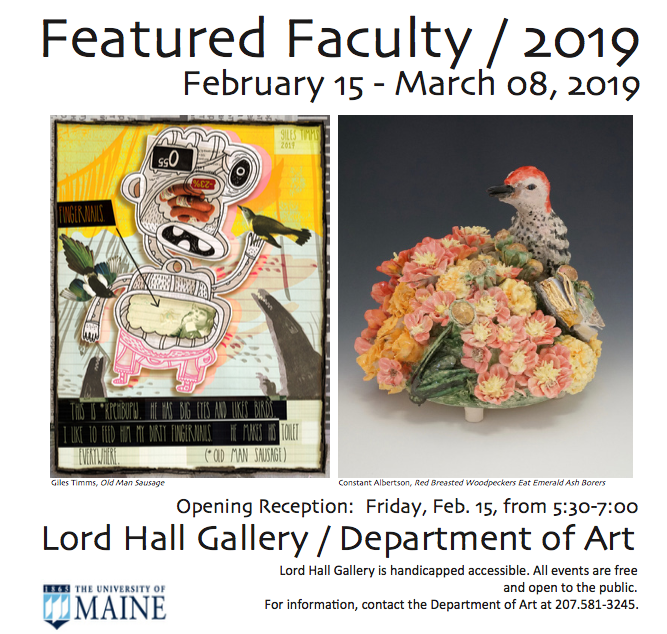 For more information or an application, contact the Department of Art at 581.3245 or Professor Hicks at hicks@maine.edu. Lord Hall is wheelchair accessible. In the UMaine News, music educator and Maine Arts Leadership Initiative Teacher Leader Kaitlin Young is interviewed as Maine’s 2018 Teacher of the Year. 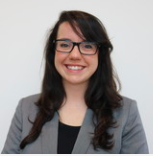 Kaitlin is a 2010 UMaine graduate in Music Education. I am an educator first and foremost, and music is the content through which I choose to help children experience the learning process and about their role within their community and beyond. There are many other incredible educators across our state who teach a variety of different contents, but we teach students first. I would love to see schools invest more in their music and arts programming. In my experience, our school’s investment in arts education has strengthened our entire community. The growth and success of our school and arts programs have been made possible by celebrating how making connections between all content areas provides a stronger and more authentic learning experience for all of our students. They can take these learning experiences with them beyond the classroom. Students need to experience, not just have access to, quality arts education the same way that they need to experience quality math, science, social studies, etc. The more you learn and experience, the more connections you make. These connections allow for a greater perspective that help you to think creatively, flexibly and empathetically. The arts have defined cultures for thousands of years and are essential to helping students express themselves and understand their role within their school communities and beyond. I am hopeful this will encourage communities to invest in their students and schools, as well as think deeply about the role that music educators, and all educators, play in the lives of our students as we encourage them to become well-rounded adults. I am currently an assistant professor of music education at the University of Maine School of Performing arts where I started in the fall of 2016. My teaching responsibilities include courses in music education and conducting, and he directs the UMaine Concert Band. I have earned degrees from the University of Missouri – Kansas City Conservatory of Music and Dance (Ph.D.), Kansas State University (MM), and the University of New Hampshire (BME). Prior to my appointment at the University of Maine, I taught courses in music education methods, field experiences, and music technology as part of my doctoral fellowship at the University of Missouri – Kansas City Conservatory of Music and Dance. While in Kansas City, I served as the conductor of the Roeland Park New Horizons Band – an ensemble dedicated to collaborative music making among adults over the age of 50. For seven years prior to my doctoral study, I was a director of instrumental music in the Goddard, Kansas school district (a suburb of Wichita), teaching in all areas of the instrumental music program (band, orchestra, jazz band, marching band, and chamber music). My research areas include lifelong music learning, undergraduate music education preparation, conductor decision-making, and the music student teaching experience. I am a tuba player, and occasionally still get to play around Bangor, although most of the time that I am making music nowadays, I am conducting or playing piano. Why did you want to move to Maine? I had finished my doctoral work and this job seemed perfect for me. I haven’t regretted moving to Maine for a second. My husband is a veterinarian in the greater Bangor area, and we have been made to feel very welcome here. Between the incredible students, supportive colleagues, and welcoming community, what could be better? What did you think of our snowy Maine winter? It was great for the first few inches. After that, it seemed like Mother Nature was just showing off. Describe your responsibilities as Assistant Professor of Music Education at the University of Maine School of Performing Arts. I have the best job in the world! I get to teach future teachers, and I get to direct the University of Maine Concert Band. We have about 100 students in the band this year and they are playing wonderfully! What are your professional goals and what do you hope to achieve in your position? I’d like to learn much more about how we as college educators can better prepare our students for the “real world.” This is one of the foci of my research. Further, I am working on a recorder program with a colleague in the clinical psychology department examining the effect of recorder group lessons on the cognitive abilities of older adults. Once we have a feasibility study completed (this summer, we hope! ), we hope to expand our program beyond the Bangor area and offer recorder group programs in many senior adult living communities. Finally, I’d like to see us break down the hidden walls between public school music educators and collegiate music educators. We are all on the same team, and have much to learn from each other. If you were given $500,000 to do whatever you please, what would it be? I would buy the biggest snow-blower that money could buy so I could always be comfortable in Maine! AND… I would love to provide instruments to schools who are currently dealing with budget cuts due to administrative or political challenges. The following information was provided by Kal Elmore, Bangor High School art teacher. Every year a special field trip experience is planned for the Advanced Placement Art classes at Bangor High School. This year’s field trip was stellar! The day began with a stop at Jim Linehan’s studio in Bangor. We arrived at Jim’s studio bright and early (8:20 AM in fact). Jim graciously allowed us to see the studio space and his work – current work as well as some work from years past. Linehan is preparing for a big exhibit this summer and is working purposefully toward this goal. The artist discussed his process, where he gets his ideas and motivation, and other topics of interest to the students. The next stop was Lord Hall at the University of Maine. 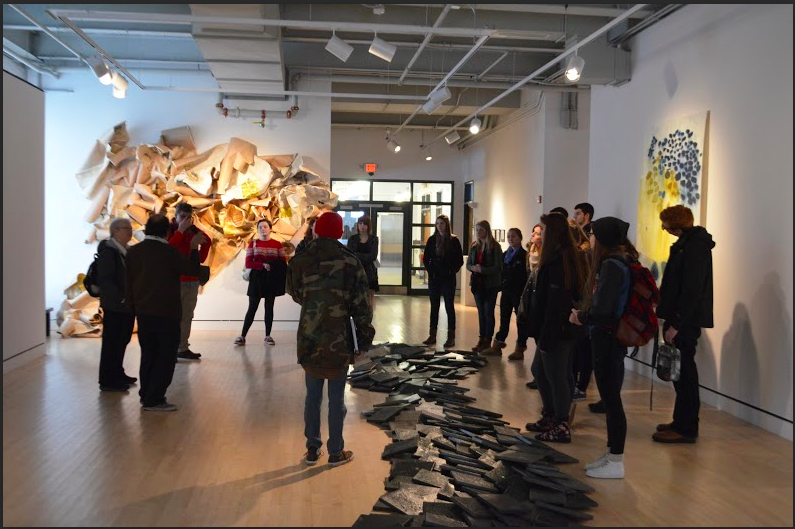 After viewing the installation by Dudley Zopp, Department Chair Michael Grillo led a discussion of the work. Grillo also talked about the programs offered at UM and gave students a tour of the art classrooms in Lord Hall. The group also toured the Sculpture building before having lunch at the Union. After lunch, Susan Groce gave a tour of the studio spaces in the new Wyeth Center – drawing, painting, and printmaking studios are large and well lit. This is when the classes were split – Kal Elmore’s AP Studio Art class went to the printmaking studio to do a mono-printing workshop. Susan Groce showed examples, described the process, explained how the space would be used, etc. The ten students quickly got to work and each created three mono-prints using the different techniques described. The AP 2-D class learned about the history and photographic styles of Pin Hole and Holga photography with Michael Grillo, including a photo shoot around the University of Maine campus with pin hole lenses and Holga cameras. After the photo shoot these students toured the New Media facilities with Owen Smith​ and got an opportunity to see 3D printers, laser cutters, digital sewing machines, and vaccuum forming machines with Sean Taylor. This was a great opportunity to partner with the UM Art Department. The day was informative and interesting. All students had the opportunity to learn about art and post secondary options. As a follow-up Kal has a colleague who is a Geospatial Educator that joined them on the trip. She created this presentation that I think you will find interesting http://bit.ly/1wlbyO7.